Bill Tynan, W3XO, a founding member and director of AMSAT and former VHF editor of QST magazine, became a Silent Key on August 7 at age 91. According to the AMSAT News Service, Bill's radio career began during World War II as an operator in WERS, the War Emergency Radio Service, the only way hams at the time could get on the air. In 1969, Bill was part of the Washington, DC-based group (also including former CQ Propagation Editor George Jacobs, W3ASK) that formed the Radio Amateur Satellite Corporation - AMSAT - to pick up the mantle of leading development of the amateur satellite program from Project OSCAR, which had built and launched the first Orbiting Satellites Carrying Amateur Radio. 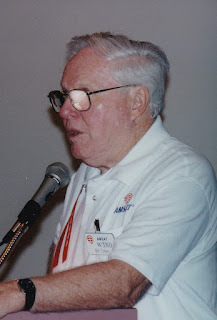 Bill was a charter member of AMSAT's board of directors and served as the organization's president from 1991 to 1998. He was also very active in all forms of VHF/UHF activity and wrote QST''s "World Above 50 MHz" column for 18 years. Bill was also Dayton's "Amateur of the Year" in 1996 and received the Barry Goldwater Award from the Radio Club of America in 2012. For the past 20+ years, Bill has also served as the OSCAR number administrator, certifying that recently-launched satellites met the requirements for receiving an OSCAR number and issuing them to qualifying "birds." Bill only recently stepped down from this position due to failing health. The family asks that anyone wishing to do so make a donation in Bill's name to the charity of his/her choice. There will still be tents for some commercial exhibitors at next year's Dayton Hamvention. In one of their first acts as leaders of the 2019 Hamvention, General Chairman Jack Gerbs, WB8SCT, and Assistant General Chairman Rick Allnutt, WS8G, announced on August 5th that they had been unable so far "to reach an agreement on a long-term contract (with Greene County officials) where both the Fairgrounds and Hamvention would feel comfortable erecting a new building." The announcement was made "in the spirit of being transparent," they said. Gerbs and Allnut stressed that the overall relationship between the Dayton Amateur Radio Association and Greene County remains excellent and the Hamvention will continue to be held at the fairgrounds in Xenia. They cited improvements made for the 2018 show and promised more for 2019. However, a new commercial exhibits building will not be among them. is the 2018 Newsline Young Ham of the Year. Fourteen-year-old Bryant Rascoll, KG5HVO, has been selected as the recipient of the 2018 Bill Pasternak WA6TIF Memorial Amateur Radio Newsline Young Ham of the Year Award. Rascoll lives in Montgomery, Alabama. He earned his Technician Class license at age 11 and had upgraded to Extra Class by late 2017. His mom, Lauren, is also a ham (KG5TQO). Bryant is already an experienced contester and DXpeditioner. He was chosen for last year's Dave Kalter Youth DX Adventure in Costa Rica and was a member of one of three youth teams at this past July's World Radiosport Team Championship (WRTC) event in Germany (see our WRTC report on page 10). He is also the ARRL Alabama Section Youth Coordinator, won first place at a science fair earlier this year with a project on "Antenna Height Effectiveness" as was a presenter at the 2018 Dayton Hamvention® Youth Forum (see article in August CQ). Bryant is scheduled to receive his award and various gifts from corporate sponsors Yaesu, CQ magazine, Heil Sound and Radiowavz Antennas at the Huntsville Hamfest later this month. If you live near a HobbyTown USA store, you should soon be able to purchase a variety of RadioShack products there. The Lincoln, Nebraska, based chain made a deal with RadioShack (which still has some 400 stores and an online presence) to open "RadioShack Express" locations in each of its 150+ stores. HobbyTown specializes in radio-controlled craft and accessories. 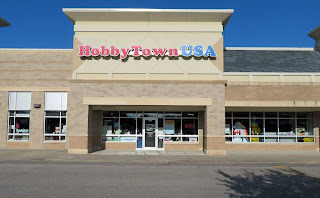 The Lincoln Journal Star newspaper reported in mid-July that each HobbyTown franchise owner will decide which and how many RadioShack items to stock, and whether to also offer services, such as cellphone repair. The two HobbyTown locations in the company's home town of Lincoln were the first to begin selling RadioShack products, according to CQ Kit-Building Editor Joe Eisenberg, K0NEB, who also lives in Lincoln. Joe visited one store and took some photos of the early setup, in this case, primarily components, soldering irons and solder, project boxes and prototype boards. Joe will be covering this welcome news for kit-builders and homebrewers in his October column. Amcrest Industries, the corporation behind the "baofengradio.us" website, has been cited by the FCC for alleged illegal marketing of the Baofeng UV-5R handheld transceiver, since it was capable of being tuned to "restricted frequencies" using external controls. 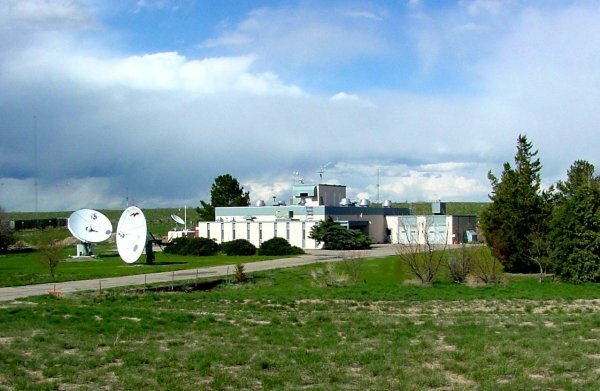 These frequencies, according to the FCC, include those reserved for aviation, satellite and federal government use, which are not permitted under the radio's Part 90 land mobile authorization. The August 1 order directed Amcrest to stop marketing the UV-5R V2+ on its website until it can certify that the radio has been brought into compliance with all FCC rules, and threatened fines of nearly $20,000 per day for non-compliance. While the FCC noted that Amcrest is only one of several authorized importers of Baofeng radios, the restrictions in the citation apply only to Amcrest and say nothing about other retailers. In addition, there is no reference to the radios' use on the amateur bands. As this was written in early August, Amcrest still had the UV-5R V2+ showing on its website, with orders directed to Amazon.com.